Find condos in Hazlet for sale. Hazlet has three condo complexes with a total of 282 homes. The complexes are Dutch Village, Fieldcrest and Village Green. However, none of the units have a garage. The Hazlet condos have either two or three bedrooms. Prices range from the low $100,000s to the upper $200,000s. Hazlet is located in the northern section of Monmouth County. 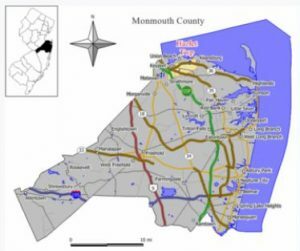 Hazlet, Monmouth County, is part of the Bayshore Regional Strategic Plan. Nine municipalities are combining to make an effort to revitalize traditional downtown areas. According to the 2010 Census, the population in Hazlet condos is a little more than 20,000 people. There are over 7,000 households with a household median income was $89,415. Commuters will love living here because of the location. People from Hazlet condos can use public transportation to the Jersey Shore, shopping, dining, New York City and points north and south. In addition, Routes 35 & 36 pass through Hazlet, and the Garden State Parkway is close (Exit 117). There is a NJ Transit train station in Hazlet, in addition to bus transportation. Additionally, the Sea Streak Ferry is a short drive away. The Hazlet School System provides education for children in Kindergarten through eighth grades. Hazlet has six elementary schools (Kindergarten through sixth grade), and one middle school (grades seven and eight). When students enter high school they will attend Raritan High School. In addition, there are numerous private schools are in the area. High school children may also attend schools in the Monmouth County Vocational School District. These schools provide education in a number of careers such as biotechnology, building trades, communications, healthcare fields, high technology and more. Indeed, full time or part time courses are available.